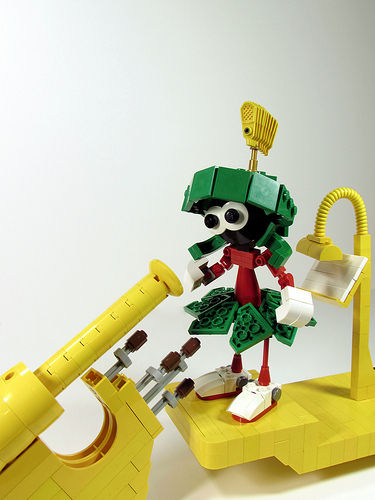 While the figure by itself would have been enough for me to share, I love how Matt spent the extra time to build out the famous telescope he is typically seen with. I particulary like the top of the helmet with its fantastic usage of a series of skis. Though the secret fun trick of this build is how he built the rim of the helmet. @TR – to be fair, I call anything that aren’t Skates: Skis.